Josiah Dykstra, Ph.D. ‘13, computer science, has received the prominent Presidential Early Career Award in Science and Engineering (PECASE) for his work on digital forensics cloud computing, with applications in tackling cybercrime. While he was a graduate student at UMBC, Dykstra worked full-time at the National Security Agency, where he remains a cybersecurity researcher, but for his dissertation took a fresh path and selected an area of research very different from his projects at the agency. Dykstra worked in UMBC’s Cyber Defense Lab with Alan Sherman, professor of computer science and electrical engineering, and studied how crimes using computers are tracked through information stored on the computers themselves and in email accounts. To determine whether and how a crime occurred, Dykstra explains, a law enforcement official may need to extract data from a phone or computer using a third party vendor. He looked at whether law enforcement could trust that the data they are having analyzed to have not been manipulated. The legal and trust issues associated with accessing such data, and the technical and legal challenges associated with information stored on electronics, formed the central focus of Dykstra’s graduate work. Reflecting on his PECASE award, Dykstra shares, “I didn’t know when I was doing the work at UMBC that it was a possibility” to receive this kind of recognition. He hopes his achievement offers encouragement for students currently working through their dissertations, tackling challenging research questions. “It’s helpful for students to see people who have done work like this,” he says. The PECASE is one of the highest honors the federal government can bestow on early-stage science and engineering researchers. PECASE award recipients are presented with their awards during a ceremony at the White House, which will be held in the coming months. Other recent PECASE recipients from UMBC include Kafui Dzirasa ‘01, chemical engineering, now an assistant assistant professor of psychiatry and behavioral sciences at Duke University, who received the award in spring 2016, and Justin Jacobs ‘14 Ph.D., statistics, who was recognized in spring 2014. Rachel Brewster, associate professor of biology, also received a PECASE in 2006. Header image by Geoff Livingston, CC by 2.0. 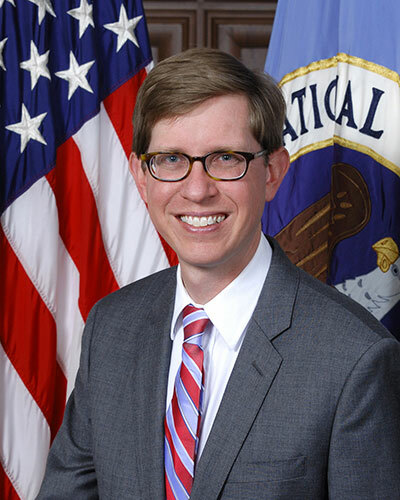 Dykstra’s headshot courtesy of NSA.